Currently, Dr. Jing Lao is a professor and Acupuncturist at Five Branches University. She has more than 15 years of experience in Traditional Chinese Medicine (TCM). She specializes in skin rejuvenation, stress management, pain management, Gynaecological and internal illness. 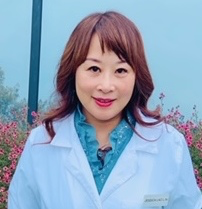 Dr. Jing Lao graduated from Zhejiang Chinese Medical University in China.